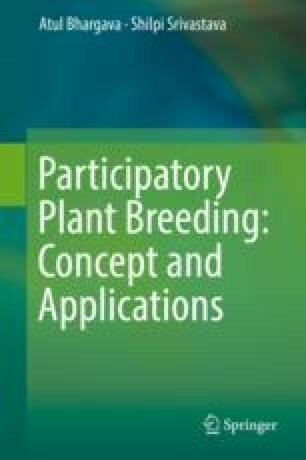 Participatory plant breeding has captured the attention of the policy makers around the world. Since this form of breeding caters more to the needs of the resource-deficient farmers, there is a deep interaction between farmers and breeders for setting objectives, decision-making, sharing responsibility, and generating the desired output. Several governments, private organizations, NGOs, and research labs have given due importance to this form of breeding. Research organizations like ICRISAT, ICARDA, CIMMYT, CIAT, INRA, LI-BIRD, and CENESTA along with several governments are actively involved in PPB activities. This chapter describes the various programs on PPB taking place in different countries spanning across continents.